The Apple Macintosh line of computers have been gaining market share in the PC market lately. In a world where almost every PC manufacturer is losing market share, and taking significant losses, Apple is the one organization gaining share and making a healthy profit. This is primarily due to the halo effect of the iPhone. There is however more to its recent growth. A lot of companies now have a bring your own device policy and treat your computer usage as a rental for each day. Most organizations purchase standard issue laptops and desktops and provide those to employees. Under new bring your own device policies, employees buy the computer of their choice. They are provided a daily “rental” for that computer and have to pay for any difference out of pocket. This has meant more Macs in the workplace as end users get to decide what computer they can use. It has also helped that giants like IBM have discovered that Macs have a lower total cost of ownership over the long term and are in the process of migrating the entire 100,000+ user base to Macs. IBM have discovered lower Helpdesk and support costs along with faster onboarding of users when it comes to Macs. Previously one helpdesk technician was required for every 15 pc users, but with their recent Mac experience, IBM maintain a single technician for every 1000 Macs. With these gains in the enterprise, a strong presence in the education market, expect Apple’s share of the market to grow for years to come. 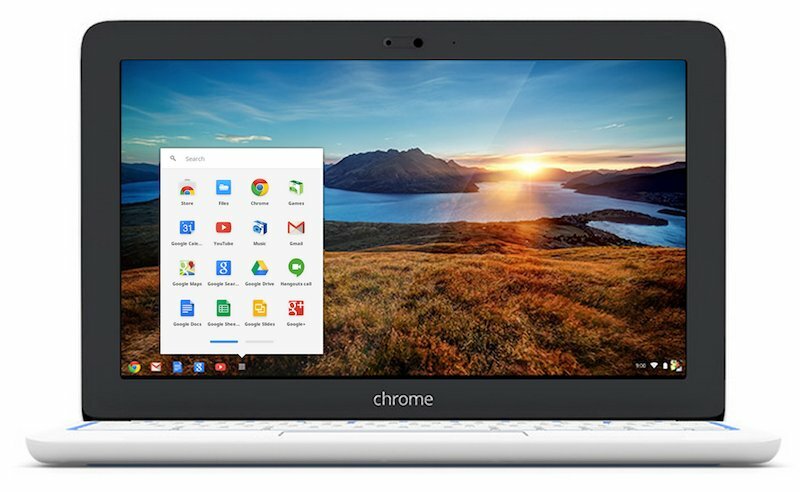 Chromebooks are registered online. Each chromebook can be registered to a specific account and this makes it much easier to manage. There is also no directly usable local storage so anyone can switch from one Chromebook to another as long as their data is in the cloud. For cloud storage on Chromebooks, Google Drive is built in. 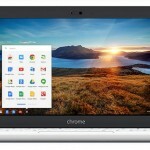 In the same vein, if someone loses a chromebook, they can be up and running on a new one very quickly. There are no applications running on a Chromebook. Only a browser. So any application will need to run within the browser. This makes the OS itself very lightweight. 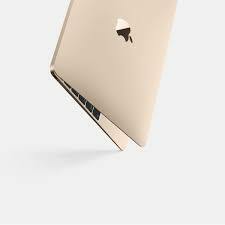 Unlike other OS’s you dont get feature bloat and it stays fast and responsive throughout. Like the chrome browser, Chromebooks get continuous updates installed in the background without any intervention from you. You can keep using the Chromebook without having to worry about annoying popups and multiple restarts to keep your computer secure. Without a doubt, Microsoft wants you to not only use its browser but Bing as well. Of course, you don’t have to. So, if you want to stay with Microsoft’s browser, that’s alright. However, you can change the browser’s default search engine if you wish. First, in Internet Explorer, visit the Internet Explorer Gallery web page. When you scroll down, you’ll find a block of add-ons such as Google and Yahoo which will be clearly labeled as Search. One thing to keep in mind: if the search engine you want (for instance, DuckDuckGo), you can’t make it the default search engine. Now, if you can find a search engine that you like, then select that and click “Add to Internet Explorer” button. In the Add Search Provider dialog box, select “Make this my default search provider” and click “Add”. In this browser, you can add just about any search engine. This includes DuckDuckGo. First, go to your preferred search engine’s main page. All you have to do is bring up the page in Edge. For starters, click on the three dots located in the top-right hand corner and click Settings. Now scroll down this panel and click the View Advanced Settings button. Now scroll down the View Advanced Settings button to “Search in the address bar with”. Now click the pull-down menu, you can find two options: Bing and <Add new>. Click the second option. You’ll then find all the search engines that you’ve visited. Now, select the one you want and click “Add as default”. While everyone wants to own a decent collection of wallpapers, it can be a headache trying to find them. But there are time-saving options such as Google’s own Art Project or Bing’s Image of the day as your very own wallpaper. It must be pointed out that these apps are easy to use. Just look them up at the Chrome Web Store and install them. Google’s Art Project will place images of art from this project and which is part of the Google Cultural Institute. This institute has been known for digitizing paintings and other images from public galleries. You can find a number of these images on that app or just check notifications for more information. Also, you can just look at the Google Art Project archives that is completely available online. Now, even if not everyone wants to use Bing, there is a new beautiful homepage every day. It’s fine to skip Bing but you’ll have to install the Bing Wallpaper for Chromebook app. Best part: once you do this, the app will send new images everyday to your desktop. What is also clear is that Microsoft puts a lot of effort into these images. In fact, Windows users can use Microsoft’s Bing desktop application to get new, updated images every day. Now, there’s a reason why these apps work only for a Chromebook. This is because of a Chrome wallpaper API that was added as a part of Chrome OS 33. Also, it is far more secure than Windows where you only have to allow it to change the wallpaper settings every day. 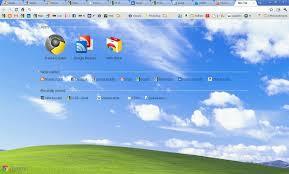 Apart from this, you can also use Chrome extensions that can change the wallpaper in your tabs too. Without a doubt, they will work on Mac, Windows and Linux. Microsoft has recently added a new feature that allows you to chat with anyone without Skype. You don’t have to be a regular Skype user either. 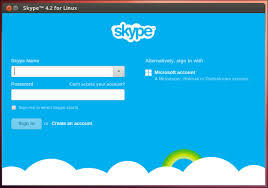 Of course, not very many people do not have a Skype account. But it is still a good feature to have. This new feature is available for users in the United States but it has to be activated first. The first thing that you have to do is select a contact from your list and double-click to open a chat window. At the top-right, click the contact button. Now select another contact and then select create group. After this, turn on “Make a link for people to join” so as to get a link from the profile that you can share with other people. Now, click ‘profile’ as this will open a new window. The final step includes scrolling down to ‘Administrator settings’ that is located on the right-hand side. Now, click the checkbox which is right next to “Make a link for anyone to join”. The link will appear right below that and also if you click the “add contact” button in a group conversation. Of course, this only needs to be done just once and then the feature will be found across all conversations. Also, people without this link will be able to access it via Skype for the Web. For mobile users, you need both Skype account and the app. 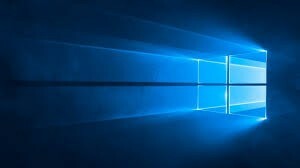 With a number of users complaining about Windows 10 running the installation automatically, some people have gone as far as refusing to boot their Windows system. One expert in particular was asked to shut down his system for an update but this did not happen. Of course, when it asked him to shut his system down again. So, if the Get Windows 10 icon has become an annoyance, the first thing that you should do is remove it with Ultimate Outsider’s free GWX Control Panel. In fact, you can easily download it as an EXE file. This will help you to block the Windows 10 upgrade. Now, once you’ve installed, look at the upper portion of the program as it will tell you if the Get Windows 10 app and upgrades have been enabled or not. All you have to do is click two of the buttons near the bottom such as the Disable Get Windows 10 app and Disable Operating System Upgrades in Windows Update. Of course, you won’t be able to do this if the upgrade has already begun, then you’re stuck with it, as the expert mentioned above discovered. Also, if Windows Update is failing to install Windows 10, then run Windows Update Troubleshooter once you have run GWX. Once you do this, launch and run the wizard and check for errors. Now, wait for the system to fix all troubleshooting errors and which in the case where your Windows 10 update has failed will remove the Update Shut Down button. After that, whichever version of Windows you’ve been using will resume services as normal. Even Linux’s hardware support is better than what it used to be, there’s no harm in checking if it is compatible with your system. It can be safe to say that not every laptop or PC found at your local store will work perfectly with Linux. So, if you’re buying a PC for Linux or to use the dual-boot option for the future, thinking about it before time will actually pay off. If you already have a PC, you can test drive Linux almost immediately. It won’t take that long to figure out whether or not Linux works with your system. Not only is this easy to do but also safe to carry out. All you have to do is download an ISO, install it on a flash drive, reboot your computer and boot into a live Linux environment that is running on the flash drive. If it doesn’t work according to your liking, then you can shut down your system and log back into Windows forgetting about Linux as a result. Keep in mind that closed-source graphics and WiFi drivers might be necessary and won’t come ‘out of the box’ either. Apart from this, you can also find information about PC specifications that will work with Linux perfectly. One such location is the Ubuntu desktop certified hardware database. Also, the Ubuntu components catalog can provide you with information if you are looking for a list of components instead. Of course, if you don’t want to go through list that aren’t exhaustive by any means, the simplest way to solve this issue is to buy a PC or laptop that has Linux preinstalled by its manufacturers. Best part: you can easily save money on a Windows license too and the PC or laptop will work perfectly with Linux too. Two companies that offer pre-installed Linux PC or laptops include Dell and System 76. You can look for a comprehensive list of manufacturers at LinuxPreloaded.com too. There are a number of advantages that come with using Linux but a long battery Life isn’t one of them. While new versions of the Linux kernel has come with improvement in saving power, it still eats through the battery faster. For starters, if you have a gaming laptop with Nvidia Optimus or AMD’s switchable graphics option, Linux will not be able to handle it as well as Windows will out of the box. Even if you don’t have the switchable graphics but Nvidia and AMD graphics, the open-source graphics drivers will not help you power management support. 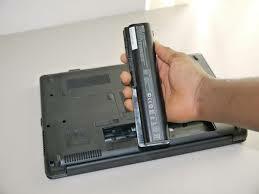 For extend battery life, you will have to use the proprietary drivers from Nvidia and AMD instead. Of course, you can disable the switchable GPU while using the integrated one. But the verdict is in: Linux handles everything except switchable graphics well. Apart from this issue, there are other tips by which you can extend battery life when using a Linux distribution such as Ubuntu. First, you’ll have to access System Settings in Ubuntu’s Unity Desktop. You can reduce the screen brightness and avoid using a screensaver. Configure your system to turn off automatically when you aren’t using your computer. In fact, you can configure the settings to go into suspend mode after a certain period of time too. Also, if you aren’t using Bluetooth, then you should consider disabling that as well. Of course, if you are traveling and aren’t using Wi-Fi, then disable that as well. Finally, you can use advanced tools such as PowerTOP and TLP that can help you diagnose power issues with Linux or extend your battery life as well. There’s a distinct relationship between heat, electricity and damaged circuits. Every computer works with this relationship. In some cases, they even break down due to getting overheated. This is because too much heat will break down the CPU’s efficiency while wearing out components faster than usual. It is therefore necessary to keep an eye on your CPU’s temperature especially if it feels hot to the touch or the fan is working overtime. For this, download Priform’s Speccy which is free of cost and easy to use. The main window in Speccy will offer a lot of information about your hardware. Temperatures will stand out either in bright yellow or orange text. In particular, the System Tray offers temperature information in the notification area. Of the two colors, the orange one is what you need to be careful of because that indicates you have a real problem. But that’s only basic information. 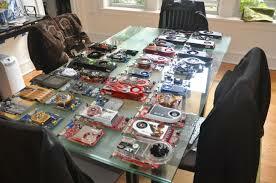 If you want more information, then make a model of your CPU and internal drive. You’ll find the information on Speccy itself – there’s nothing to worry. 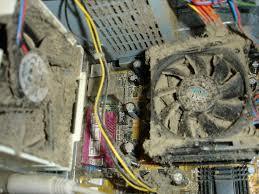 Now, in order to find out how much heat is too much for your computer’s CPU, go to CPU World. Look for your particular processor, select it and look the temperature specifications involved. That said, this heat problem isn’t a problem with hard drive. In fact, a Google report stated that the activity levels and temperatures are less associated with the drive failure than anything else. Yet any drive can be damaged by too much heat, so it is still a good idea to play it safe. Also, you can find the manual for your hard drive online. You can find the temperature numbers there if you want to double check. There are a number of reasons why your system can slow down. Probably the fastest and simplest way by which you can solve this is by rebooting your system first. A number of people actually use their PC 24/7 and put them in sleep or hibernation mode instead of shutting them down completely. A simple reboot in this case can also clean out these so-called temporary cobwebs, if you will. If you have rebooted and your system continues to run slow, then the next step would be to ask yourself what was changed recently, when it comes to your PC. If there was a new program or hardware installed or even the driver was updated, it would be a good idea to undo what you just did. For uninstalling a program, you can use the Programs and Features tool in Control Panel while selecting the Roll Back Driver option in the Drivers tab found in Device Manager. Similarly for new hardware that has been added, go to Device Manager and right-click it and select Uninstall to complete the process. Of course, if none of these actions has influenced the speed of your system then it is time to check whether an overly large memory is taking up a lot of resources from the CPU or memory. Open Task Manager and look at the Processes tab which contains both the CPU and Memory columns. You should be able to find a program that is taking up resources and close it in Task Manager itself. Of course, this is only a temporary fix and one must uninstall the program next and so to ensure that your system doesn’t slow down the next time around. Finally, while malware might rarely cause your system to slow down and for this you can use software that searches for malware so as to resolve the problem.